Since the emergence of climate and global warming onto the international agenda, research in sustainability has been underpinned by the development in energy and environmental science. Highlighted 30 years ago by the Brundtland Commission, "sustainable development" was defined as: meeting the needs of the present without compromising the ability of future generations to meet their own needs. This has very much defined the scope and aims of this conference.This conference proceedings book contains the selected papers presented in the 2015 International Conference on Sustainable Development (ICSD2015) held in September 25–27, 2015, in Wuhan, Hubei, China. The conference positions itself as an international forum for researchers all over the world to come together to share and discuss their findings and contributions in all aspects of sustainability; including theory, methodology and applications covering a wide spectrum of topics and issues. The conference proceedings put together a total of 119 papers in sustainable development, covering issues in environmental, energy, and economical aspects of the subjects.Since the emergence of climate and global warming onto the international agenda, research in sustainability has been underpinned by the development in energy and environmental science. Highlighted 30 years ago by the Brundtland Commission, "sustainable development" was defined as: meeting the needs of the present without compromising the ability of future generations to meet their own needs. 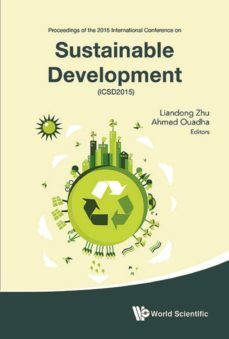 This has very much defined the scope and aims of this conference.This conference proceedings book contains the selected papers presented in the 2015 International Conference on Sustainable Development (ICSD2015) held in September 25–27, 2015, in Wuhan, Hubei, China. The conference positions itself as an international forum for researchers all over the world to come together to share and discuss their findings and contributions in all aspects of sustainability; including theory, methodology and applications covering a wide spectrum of topics and issues. The conference proceedings put together a total of 119 papers in sustainable development, covering issues in environmental, energy, and economical aspects of the subjects.Readership: Researchers, professionals, and graduate students concerned about sustainability.